After some preliminary observations about Europe of regions, this article discuses as- pects of music and music education under the viewpoint of interregional cultural interaction and history. The focus is on the situation in Luxembourg. The influence wielded by the neighboring regions is considered in relation to (1) the close proximity bringing together germanophone and francophone (Wallonia, i.e. the French speaking part of Belgium and France) traditions; and in relation to (2) the development of the grand duchy and its stately independence starting in 1815. 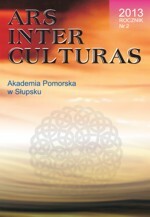 Furthermore, the author examines the cultural shift initiated by the migration of Italian and Portuguese families at the end of the 19 th century and its influence on musical life and music education in Luxembourg.